These muffins turn out perfectly every time. Make sure not to over bake them! Remove them from the oven just as they begin to lightly darken! Another recipe from The Barefoot Contessa by Ina Garten. Makes about 34 standard size muffins. 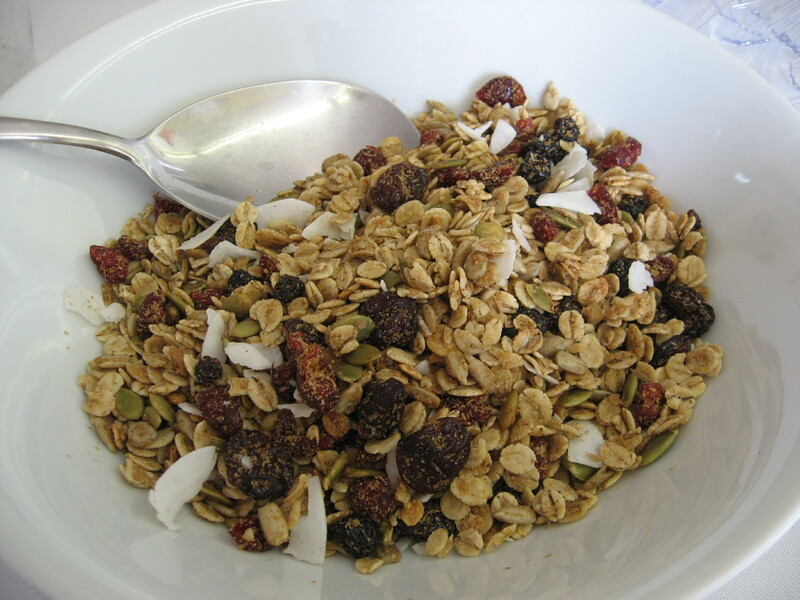 For the crunch, I use my Toasted Barley & Berry Granola recipe found on this site. In a large bowl of an electric mixer whisk or sift together flour, sugar, baking powder, baking soda, & salt. Add the melted butter and combine with paddle attachment. Do not over mix. This toughens the dough. In a medium bowl combine eggs, milk, vanilla & mashed bananas. Add to the dough and do not overmix. Fold in the diced bananas, walnuts, granola & coconut. Spoon batter into paper liners, filling 3/4 full. Top with dried banana chips, granola or coconut if desired. Bake 15-20 minutes or until tops just begin to darken and an inserted toothpick comes out clean. Posted in Breads and Baking, breakfast and tagged granola. Bookmark the permalink. 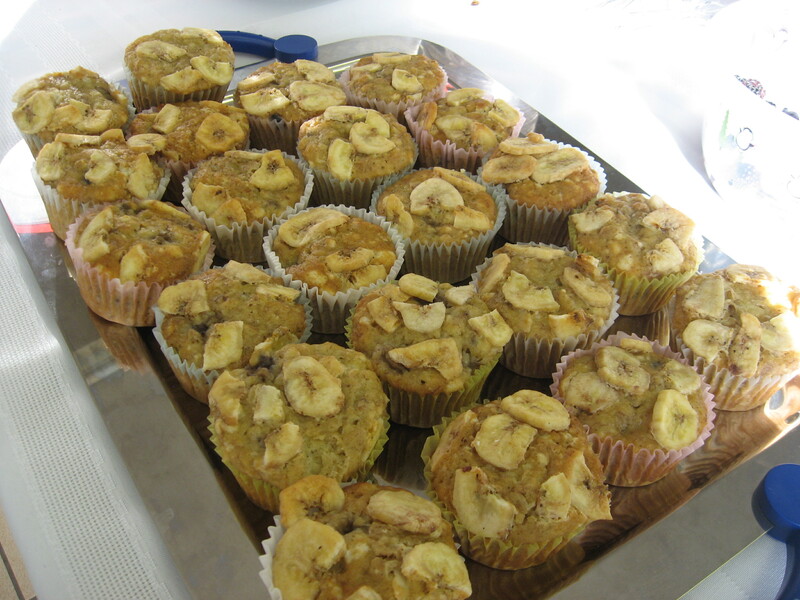 Hi again….it was so nicie to get this an idea…I baked banana granola muffins!! I did almost follow as your recipe but in Japan here many people wish to reduced sweetness as can as possible….I did not add one cup of sugar but worked very nice! I added about 1/2 cup of sugar but riped banana gave us lots sweetness! I had one muffin this morning as breakfast thanks and was yum! I love these muffins too! I am so glad you do!